Police are seeking witnesses after a girl was reportedly approached by a man in a pick-up vehicle in Stonehaven. 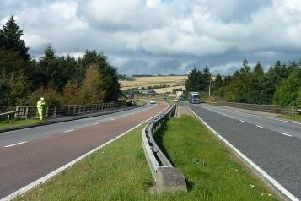 The incident happened around 4pm on Monday on the A957 Slug Road between William Mackie Road and East Glebe. Police say the girl was offered a lift in the red pick-up but kept walking. Sgt Mark Conner said: “At this time there is nothing to suggest that anything untoward has happened, however we want to trace the man who was driving the vehicle to rule this out.